Our classic T-shirt in khaki. T-shirt with twin seam and halter neck! 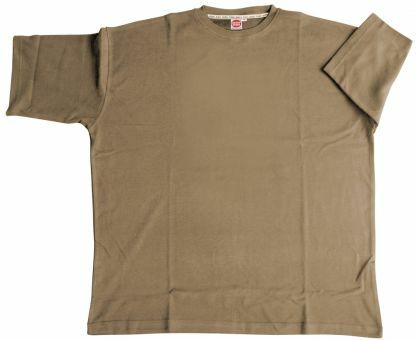 Soft, 200 gram quality, combed cotton! Again in the usual heavy quality!